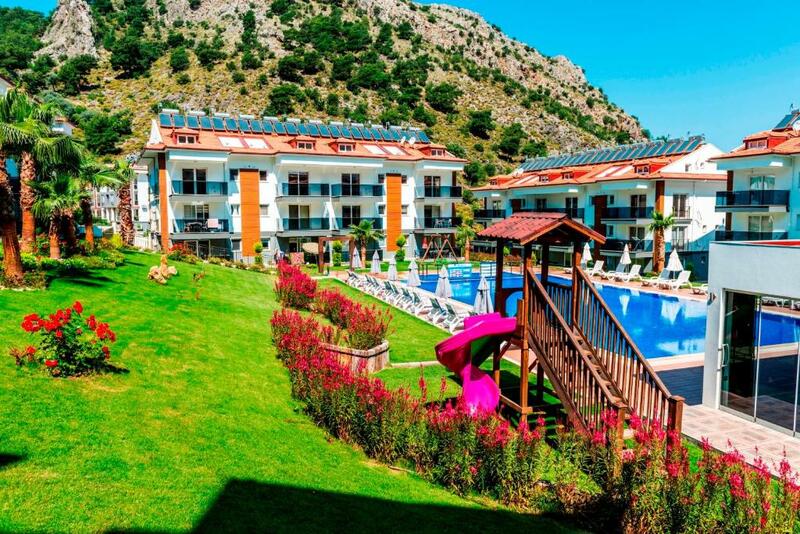 Lovely apartment in quiet location but close to fethiye and ovacik. 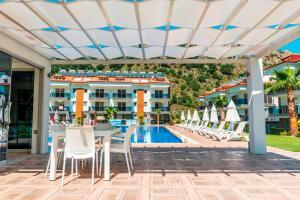 Apartment was very comfortable and well equipped. Owner easy to communicate with. 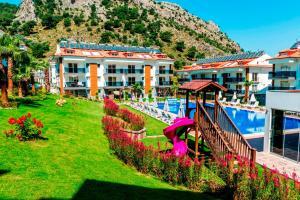 Overall a lovely stay and wouldn't hesitate in recommending it. 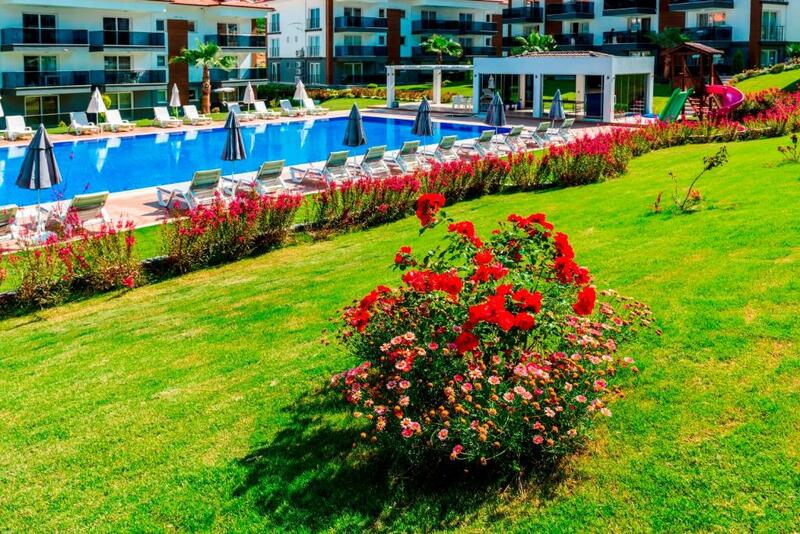 The recidence was extra clean, i had everything i needed, the kitchen was so good, free parking, everything was the same as the pictures added from the property, the swimming pool was amazing especially at night with the view from the balcony. It was one of the best places i went. The host treated us like family, from the moment we arrived to the day we left. He helped us find a reliable local taxi, takeaways, and a tour company for our tours and attractions. The property is new, which we liked. Everything in it is in good working conditions. 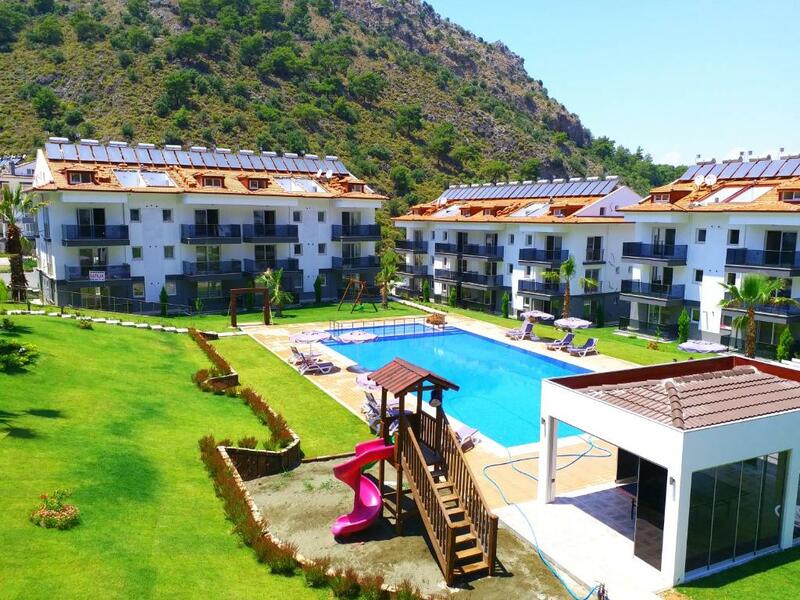 The property is well located for going into Fethiye, and Oludeniz, either location is only five minutes away in a taxi, or ten minutes bus ride. The area is near Fethiye centre but, quiet enough for a good night sleep or sitting outside in the balcony, enjoying the mountain view. Аппартаменты удобные, все, что нужно для проживания имеется. Полноценная плита, большой холодильник, стиральная машина. Отдельная спальня с удобной кроватью. Есть диван для доп. Места. В аппартаменты есть большой бассейн.Вообще Фетхие и Олюдениз прекрасные места. Нам не хватило 4 дней, чтобы все посмотреть. 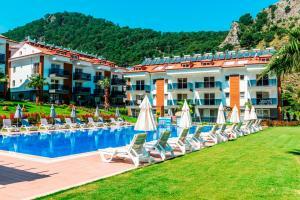 Lock in a great price for Likya Garden Residence – rated 9.9 by recent guests! One of our top picks in Fethiye – and a guest favorite. 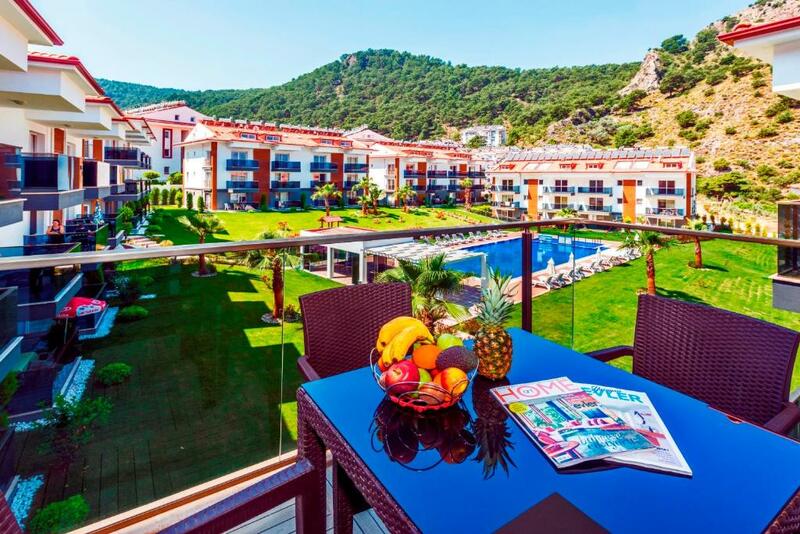 Located in Fethiye, 3.4 miles from Ece Saray Marina, Likya Garden Residence provides a restaurant and free WiFi. All rooms are equipped with a terrace, a kitchen with an oven, a dining area and a flat-screen TV, while the private bathroom includes a shower. A fridge and stovetop are also provided, as well as an electric tea pot. 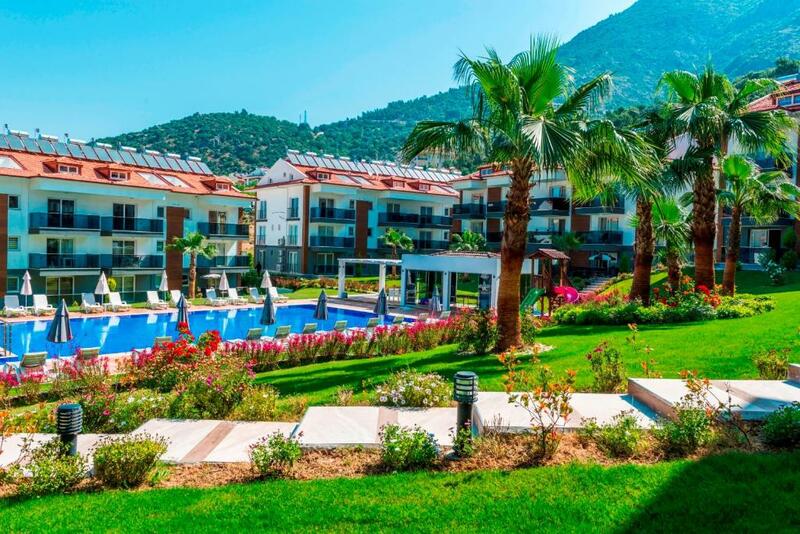 Calis Beach is 5 miles from Likya Garden Residence. 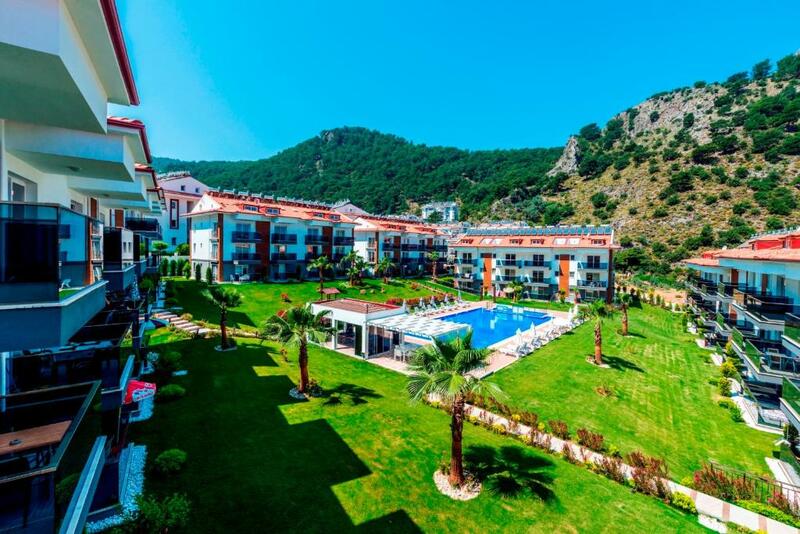 The nearest airport is Dalaman Airport, 35 miles from the property. When would you like to stay at Likya Garden Residence? This apartment has a washing machine, electric kettle and balcony. 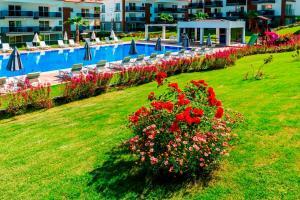 House Rules Likya Garden Residence takes special requests – add in the next step! Likya Garden Residence accepts these cards and reserves the right to temporarily hold an amount prior to arrival. Shops were not close by.